Daniel Ricciardo continued to look impressive at the Monaco Grand Prix after he set the second fastest time in FP2 on Thursday. The Australian, who was robbed of victory on the streets of the principality last year when his Red Bull Racing team botched his pit-stop while in the lead, was nearly half a second off the fastest time of the afternoon set by former team-mate Sebastian Vettel in the Ferrari. Ricciardo posted 34 laps during the 90 minute session, with a fastest lap of 1:13.207, but it was his long run pace that had most chins wagging. While the Mercedes cars, and in particular Lewis Hamilton, dominated the first session, their race pace looked well off that of Ferrari and indeed Red Bull. 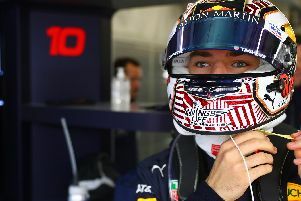 Max Verstappen finished the session sixth fastest with a 1:13.486, completing 35 laps. The teams now have a day off before FP3 and qualifying on Saturday.